Sugarland Learning Academy is a privately owned early child care program located in Sterling, Virginia. Their facility is licensed to serve approximately 93 children from six weeks to five years of age and after-school care from six years to 12 years of age. Hasina Siddiq, the owner of Sugarland, learned a great deal while participating in the National Early Care and Education Learning Collaborative (ECELC) program in 2016. The staff members were able to take the information from ECELC to improve the health education, nutrition, physical activity and well-being of children in their program. The first improvement the program made involved changing their menu. For years, Sugarland Learning Academy had been aiming towards a healthier menu. After joining the ECELC program their menus have completely changed. For example, fresh fruits are served at every meal and more smoothies are introduced to children through their culinary class. In order to introduce new foods to the kids, the program provides resources like the Two Bite Club to each classroom. Stories are read to the kids from the Two Bite Club while each child tries to eat at least two bites. This has led to the increase of kids liking new fruits, vegetables and meals served in the program. The program has also reduced 90% of their snacks to either 0 or 1 gram of sugar. On Valentine’s Day, they provided colorful fruits like grapes, watermelon, strawberry and apples, and allowed the children to prepare their own fruit salad instead of eating cupcakes and other sugary snacks. 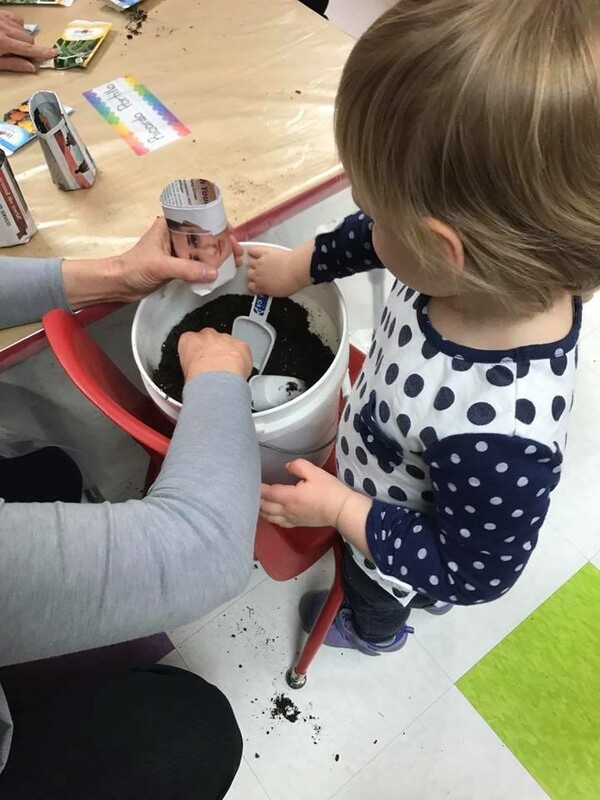 Most recently, they invited a Loudoun County Master Gardener to their program to get the children more engaged in gardening and healthy eating. The visit was a success. The children were provided information on gardening and what garden tools to use. Each child was provided an option to plant a flower or a vegetable. After the gardener’s visit, each class continued to plant more vegetables as part of their weekly themes, and they look forward to harvesting throughout the summer. Currently, Hasina plans to extend these habits to their second center, which is opening in the fall. Kerri Newton, Kerri’s Kidsville Program Director from Springfield, Missouri, had the desire to provide healthy and enjoyable meals at her center. In 2013, she decided to attend the National Early Care and Education Learning Collaborative (ECELC): Taking Steps to Healthy Success training to learn more about how to make healthy choices for her kids. While participating in the learning collaborative, she applied and received a grant to build planter boxes along the outside wall of her center. Each spring, she would take two to three children at a time to plant various fruits and vegetables. They also planted a few herbs for the cook to use in dishes. The children watered the garden every day at recess and picked the fruits and vegetables when they were ripe. Local Foods — Childcare Center Production Gardens is a complete “how-to” guide about fruit and vegetable gardening with children. It teaches childcare providers how to engage young children in using fresh produce from a production garden for cooking and eating, as well as instructions on composting. The guide is in eight well-organized brief chapters, complete with age-appropriate instructions on: (1) Growing and Cooking Fruits and Vegetables, (2) Creating Childcare Center Production Gardens, (3) Growing Warm-Season Fruits and Vegetables, (4) Growing Cool-Season Vegetables, (5) Snacking and Cooking With Warm- Season Produce, (6) Snacking and Cooking With Cool-Season Produce, (7) Composting, and (8) Vermicomposting, including selection and handling of the correct earthworms.